As summer winds down and other people’s children go back to school, we thought we’d introduce a new feature, we’d like to share from time to time. It’s a spotlight on a client of ours! Today we’re shining a light on our client RockLove Jewelry and it’s indomitable and fantastic owner, Allison Cimino. We began working with Allison and RockLove in early 2015 as she was looking to expand awareness about her unique yet officially licensed fandom jewelry collections. We met and knew it was #MTB (meant to be in internet speak). Beyond her personal designs, Allison has been tapped by the biggest studios, networks and properties to design one-of-a-kind, imaginative jewelry pieces for their fans. We’re talking: Star Trek, Outlander, The Hobbit, games like Destiny and Assassin’s Creed. Oh and she most recently unveiled her latest collections for Marvel’s Guardians of the Galaxy, Fox’s cult classic FireFly and the David Lynch juggernaut, Twin Peaks. Clearly, a partnership with RockLove is right down our alley. When we said we knew Fandom, we meant it! RockLove Jewelry celebrates lost art forms, eras of history, exotic destinations, and the belief that your jewelry’s back-story should be as interesting as your own. 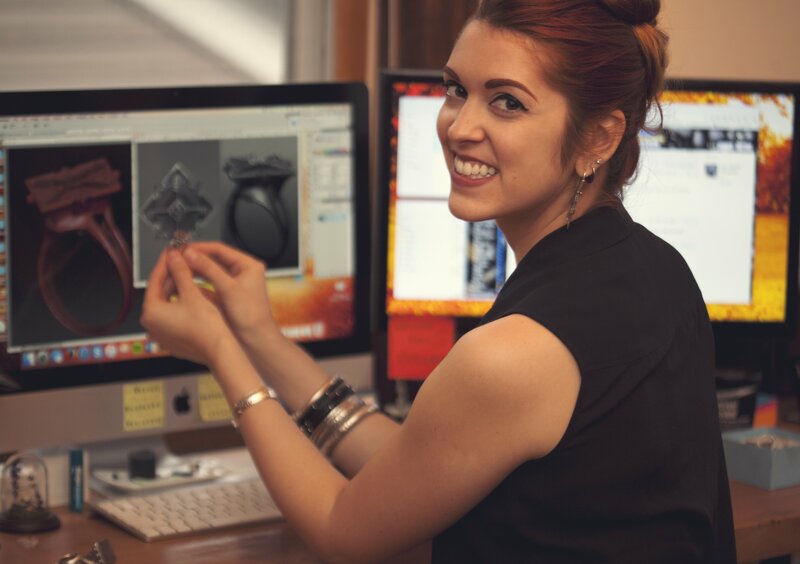 After an old-world apprenticeship in Florence, Italy, designer/jeweler Allison Hourcade Cimino fused her love of history, fantasy, and sci-fi with her training as a silversmithing to develop RockLove’s exclusive sterling silver collections. In addition to the ever changing RockLove line, Allison has had the honor to collaborate with many beloved franchises to create sophisticated, clever merchandise that allows men & women of all ages to celebrate their favorite fandom. When you thing niche fandom with a CULT following, Firefly comes to mind. Fox and ThinkGeek partnered with Allison and RockLove to design the first ever official Firefly jewelry collection. To launch the mini Serenity ships, Dino earrings and more Allison debuted the collection Live at ThinkGeek headquarters in DC. What better way to highlight a stellar summer than to be invited to be a panelist on the “Business of Geek Fashion” at San Diego Comic-con?! Allison shared the stage with Ashley Eckstein of Her Universe, Hot Topic’s Ed Labay, ThinkGeek Denver’s Symantha Perrera, J!NX’s Sean Gailey, and Hero Within’s Tony Kim. A total star studded panel in the Geek Fashion world. If we told you, we might have to kill you. Ok, this isn’t James Bond level marketing but the element of surprise and in-depth planning is something we love to strategize with our clients. Suffice it to say, the rest of 2017 and into 2018 are shaping up to be some of Allison and RockLove’s best work!